Written by a genuine "Insider," this is the true story of one of the most frightening "invasions" in the history of the church - and the fight to keep it out. Andrew Strom has been part of the Charismatic movement for over 25 years - and was deeply involved in the modern "Prophetic" movement for 11 of those years. He is the founder of RevivalSchool.com and the International REVIVAL List. 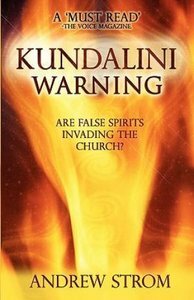 In this book, Strom traces this mass invasion of false spirits back to 1994, and shows how it culminated in the bizarre events surrounding Todd Bentley and the Lakeland revival in 2008. What are 'Kundalini' spirits? What are the signs of their presence? And how can such an invasion be turned around? All this and more is discussed in this provocative book. "A 'MUST READ'" - The Voice Magazine. "The church of Jesus Christ does not realize that it has been infiltrated by demonic forces. Discernment has been lost! A book that is beyond needful." - Greg Gordon, SermonIndex.